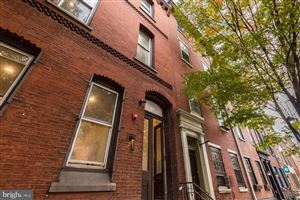 Washington Square West real estate and homes for sale: Washington Square West is the best of both worlds. 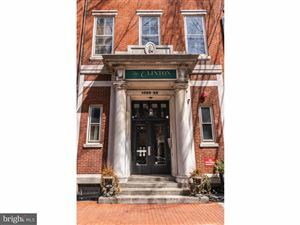 Named after Washington Square Park, which is located at 6th and Walnut, this neighborhood is an eclectic combination of both open green space and urban charm. Washington Square West is home to a strong LGBT pride and presence, and is often referred to as the “Gayborhood” by residents. Visitors will see rainbow flags on over 30 street signs, permanent fixtures dedicated to the diversity and inclusiveness of the neighborhood by former city Mayor, John Street. Each street is lined with restaurants, bars and coffee shops, many of which feature outdoor seating and brightly colored storefronts. Fitness centers and yoga studios are also very prominent in the area. 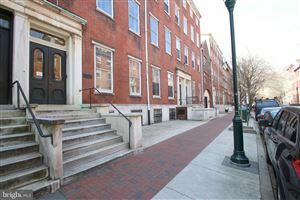 Educational and medical facilities associated with, Thomas Jefferson University, a leading regional medical university and health care center, are located within the neighborhood. See all Real estate in the Washington Sq West tract.